For nearly five years we have gone without a console Zelda experience. While Phantom Hourglass and Spirit Tracks are fine games in their own right, they just can’t compete with the console outings. This will all be changing this year with the release of The Legend of Zelda: Skyward Sword. Officially announced to be the prequel of Ocarina of Time, the game is sure to reveal many answers to questions players have about the mythology and lore surrounding the Zelda series. Details on the story are still scarce but that should be changing in the next couple of months as the game gets closer to its release. 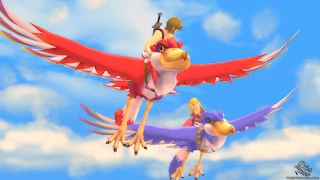 This was my first time going hands on with Skyward Sword so I was a bit nervous. The controls in the game are very tight; no longer can you waggle your way through fights. You actually have to strategically place your strikes. 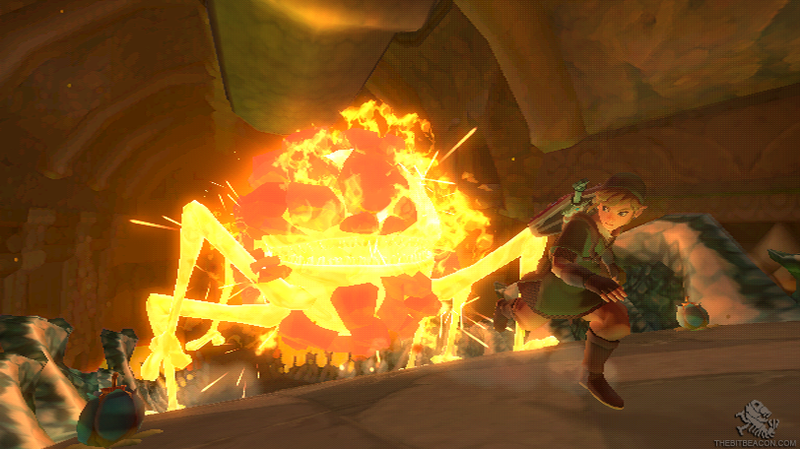 With Wii MotionPlus you now have one to one control over Link and his arsenal of weapons and tools. I selected the dungeon demo and began exploring the various rooms and puzzles that inhabited them. Many of the dungeons puzzles required use of the new flying beetle tool which launches off of Links wrist and into the air. The beetle can be used to cut down skulltulas from strands of web hanging from the ceiling as well as activating switches Link cannot physically reach. 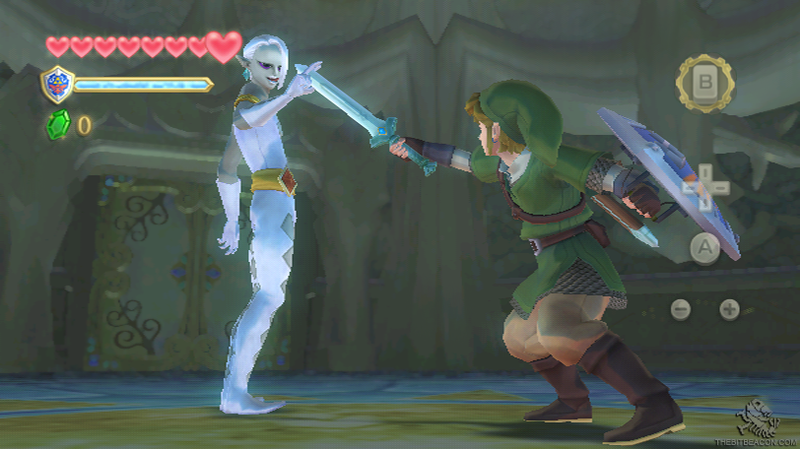 I eventually encountered the mid dungeon boss – a stalfos with dual swords. I was not quite used to the new controls yet so it was fairly challenging. The stalfos would put up it’s swords to act as a shield to block Link’s attacks so I had to precisely strike the areas it was not defending. 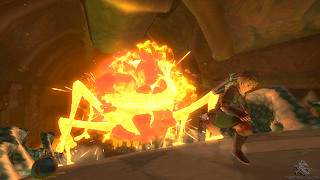 Link could also use his shield bash ability to stun it as well as block its hard hitting attack. However shields now have a durability meter and when the meter runs out they break. So expect to be replacing your wooden and steel shields from time to time before obtaining the hylian shield. I asked the Nintendo rep if they were repairable before they had completely broken, but he did not have an answer for me. After exploring a few more rooms my time with the demo came to an end. The Nintendo rep said he had yet to see anybody complete the full dungeon demo in the allotted time, so I was not so bummed that I didn’t see end of it. I feel that I definitely needed more time with the controls. A more traditional tutorial stage would have been nice for those of us who had yet to play the game. Still the game looks and sounds great and with some more time with the controls I feel that I could become proficient with them. Look forward to holding your Wii Remote high holiday 2011.